How do I access Flipster? The Flipster app manages your magazines downloaded from the Flipster website for offline viewing. Search your device’s app store to download and install the Flipster app. Open the app and tap Get Started. 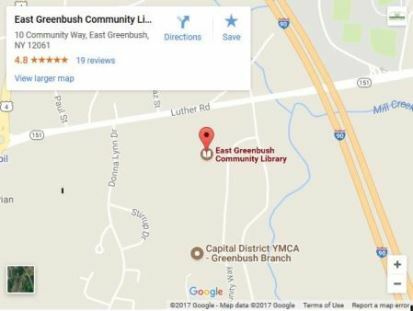 Search for East Greenbush, NY and choose the library from the search results by tapping Log in. Enter your library card number to proceed. You can browse or use the magnifying glass icon to search. Tap on the magazine you wish to view and click “download” to download the issue to your devide. To download older issues, which are displayed beneath the current issue, click the download icon next to the date of the older issue. My Shelf contains issues you have downloaded. Under the picture of the magazine cover, you will see how much time is left before the issue expires. Tapping Read will display the issue you are currently reading. Organize downloaded magazines by date or title. Browse magazines via table of contents and page thumbnails. Track percentage of magazine read. Read articles in text view. Many Flipster magazines have unlimited simultaneous use. This means that it does not matter how many patrons are currently reading a magazine in their browser or have downloaded it into the app—it will always be available. If a magazine has limited use, it will have a loan period when it is downloaded into the app. The titles that have limited use restrict the number of issues that can be checked out at a time. This means that once one patron’s copy is returned, it will be available for another patron to check out.